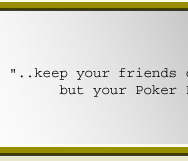 Omaha is a community card game in which each player receives 4 face down cards and shares 5 community cards. The winning hand must use exactly 2 down cards and 3 community cards. Omaha Hi is a fast paced game with relatively simple game rules for between 2 – 10 players. Omaha begins by each player being dealt four down hole cards followed by a round of betting. Once the initial round of betting has been completed 3 community cards are placed in the middle of the table, these cards are called the flop. Another round of betting occurs followed by another community card (the turn) and once again a round of betting. Lastly a final community card is revealed (the river) and a final round of betting concludes the game. Any players still left in the hand turn over their cards and attempt to make their best possible 5-card poker hand. Each player must use 2 down cards along with 3 cards from the community board. At the showdown the best possible five-card poker hand, using exactly two hole card and three community cards, wins the pot. 1. 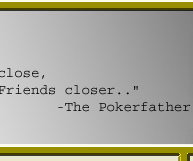 In the event that the first hole card dealt is revealed to all players, the dealer must reshuffle and deal again. 2. If any other hole card is revealed during the initial deal, that card is taken by the dealer and replaced with an unseen card. The revealed card then becomes the burn card for the flop. 3. Each player is responsible for protecting their hole cards by either placing a marker on top of them or making it clear that they are still in play. 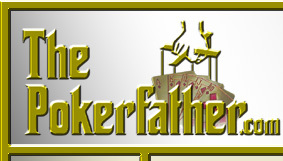 In the event that a players hole card are not marked and are taken by the dealer, the player is out of the hand. 4. If there is any error in the dealing of the flop, it must be reshuffled and re-dealt. 6. When a player reveals his hole card, he must not allow them to touch any of the board card. If they become mixed with the board card (even if it is possible to distinguish and remove them), the player’s hand is forfeited. Omaha Hi/Lo uses the same rules as traditional Omaha, except for the fact that the pot is split between the highest and lowest possible 5 card hands. A low hand must qualify, however, in order for a split to occur. Qualifications may differ but usually an 8 low is the standard. This means that the low hand must not contain a card higher than an 8 to qualify. In the event that there is no possible low hand, the entire pot goes to the highest 5-card hand. Omaha begins by each player being dealt four down hole card, followed by a round of betting. Once the initial round of betting has been completed, 3 community cards are placed in the middle of the table. These cards are called the flop. Another round of betting occurs, followed by another community card (the turn) and another round of betting. Lastly, a final community card is revealed (the river) and a final round of betting concludes the game. Any players still left in the hand turn over their cards and attempt to make their best possible 5-card poker hand. Each player must use 2 down cards along with 3 cards from the community board. 3. The dealer turns over three-community board card (the flop) face-up. 5. The dealer turns over one more community board card (the turn). 7. Dealer turns over one final community board card (the river). At the showdown players must use exactly two of their pocket cards and three board card. Players are entitled to use any two of their pocket cards and any three board card for both their high and/or low hand. It is possible to win both high and low hand. 3. Each player is responsible for protecting their hole cards by either placing a marker on top of them or making it clear they are still in play. In the event that a player’s hole card are not marked and are taken by the dealer, the player is out of the hand. 5. Whenever a dealer turns a board card before a betting round is finished it must be removed from play for that round. 6. When a player reveals his hole card he must not allow them to touch any of the board card. If they become mixed with the board card (even if it is possible to distinguish and remove them), the player’s hand is forfeited. 7. In the event that no low hand qualifies, the entire pot goes to the highest possible 5-card hand.